(2011). Bioremediation of Chromium (Vi) from Textile Industry's Effluent and Contaminated Soil Using Pseudomonas putida. Iranian Journal of Energy and Environment; previously called: Iranica Journal of Energy & Environment, 2(1), -.
. "Bioremediation of Chromium (Vi) from Textile Industry's Effluent and Contaminated Soil Using Pseudomonas putida". 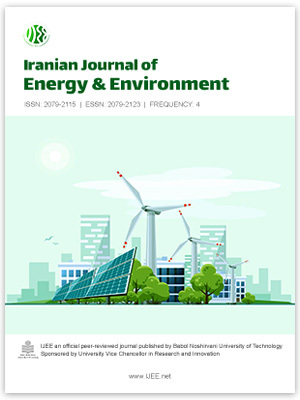 Iranian Journal of Energy and Environment; previously called: Iranica Journal of Energy & Environment, 2, 1, 2011, -. (2011). 'Bioremediation of Chromium (Vi) from Textile Industry's Effluent and Contaminated Soil Using Pseudomonas putida', Iranian Journal of Energy and Environment; previously called: Iranica Journal of Energy & Environment, 2(1), pp. -. Bioremediation of Chromium (Vi) from Textile Industry's Effluent and Contaminated Soil Using Pseudomonas putida. Iranian Journal of Energy and Environment; previously called: Iranica Journal of Energy & Environment, 2011; 2(1): -.